Tamashii Nations has released the first official photos for their upcoming Dragon Ball Z S.H. 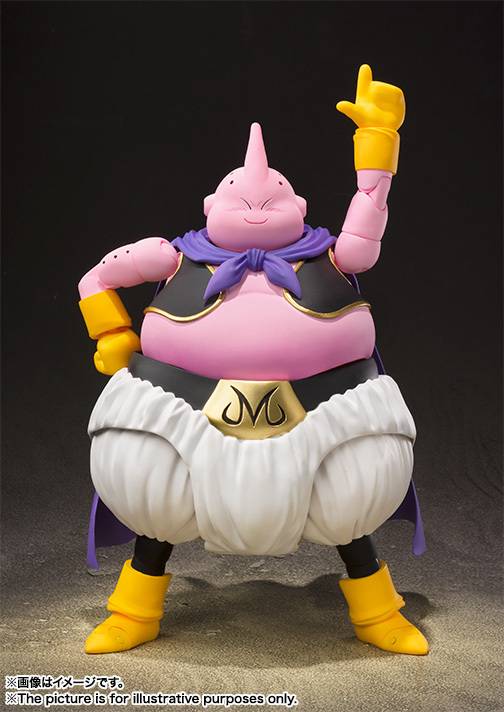 Figuarts Majin Buu Figure. The figure was last seen at Toy Fair 2018. While the product page hasn’t been posted yet, they have updated their Dragon Ball landing page with some photos, and a small bit of info. The figure looks to include three interchangeable heads, interchangeable hands and a chocolate bar. 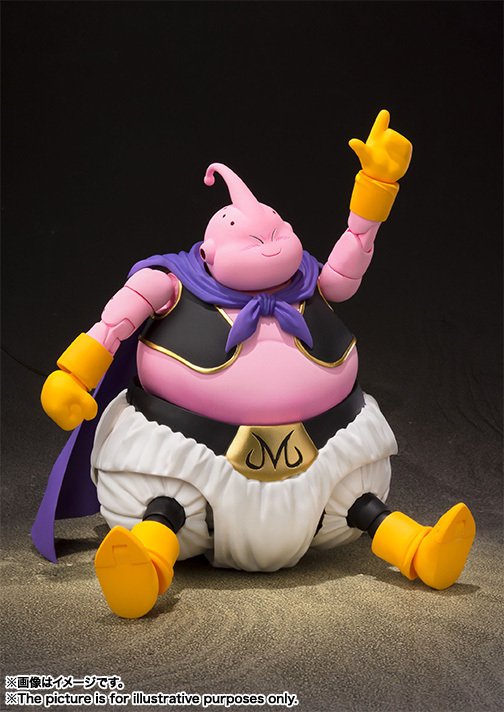 Majin Buu is expected to be released in August. The figure will be priced at 8,424 Yen (about $78 USD). We’ll update when the product page goes live. You can see the photos by reading on. Daaang! $78! I don't care how relevant this pink puffball is, that's too expensive for me to want it! $78 and they didn't even have the good graces to include a small antenna beam for the chocolate transformation. Tamashii Nations needs to stop cheaping out on energy effects. Figuarts lost my business a while ago. Anybody remember when DBZ Figuarts used to be jam packed with accessories (including effect pieces) AND a figure stand?? Now they sell (with the exception of Buu) nearly identical amounts of figure, and little to no accessories for at least double the price. 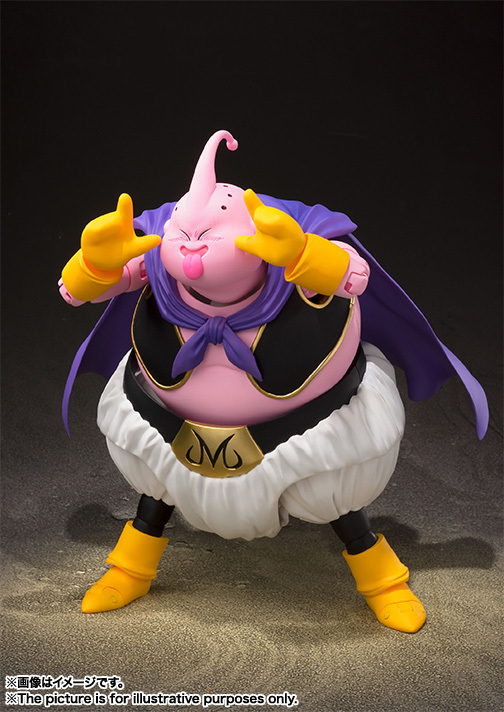 If it was the bad version of Buu I would be all over this! 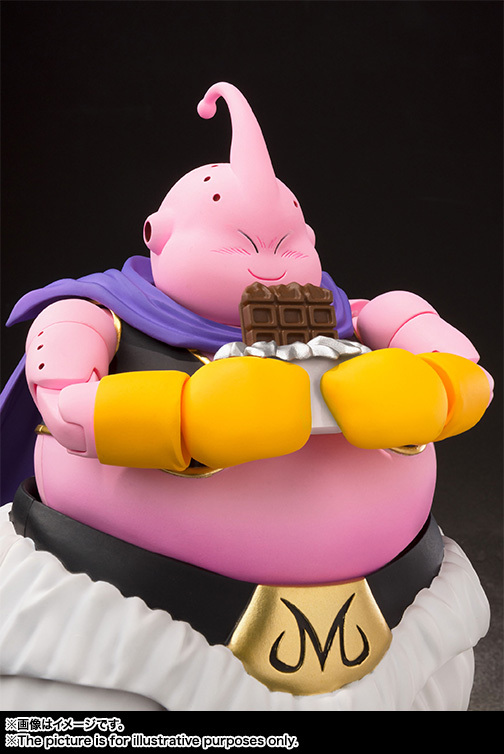 I'm waiting for the release date of the Figure-Rise Standard model kit of this Majin Buu which was shown way back in May 2016 at the Shizuoka Hobby Show. It looks good enough imo and will be a lot cheaper. I keep my fingers crossed for it's release. The sale shouldn't be too much of an issue with Buu. I already have the kid Buu Figure-Rise displayed with figuarts and he looks great. I have also sold and replaced figuarts Prefect Cell with the Figure-Rise because he is taller. Honestly, this is a very solid figure. Paint shading looks amazing, sculpt is spot on. The only thing is the price. Hopefully this thing is in scale as well, as figuarts does have a track record of making things not measure up with the other characters. In my opinion, figure rise is overtaking figuarts. The sculpt is better with most figure rise figures over figuarts, the scale is better, the characters that are supposed to be bulky ARE bulky, and the price is very fair. He looks awesome! 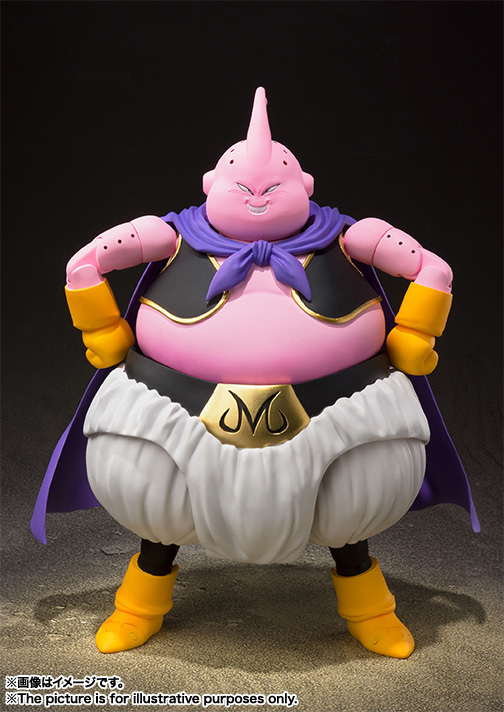 Best Majin Buu out there currently. Price doesn't bother me. Been collecting this line since it started, I won't stop now. Scale wise, he's pretty big. Similar to Nappa's height. No Dabura cookie? Why even bother? Agreed - I think size is definitely playing a role for this release, but there way no reason for Tien and Yamcha to cost ~$60 each.